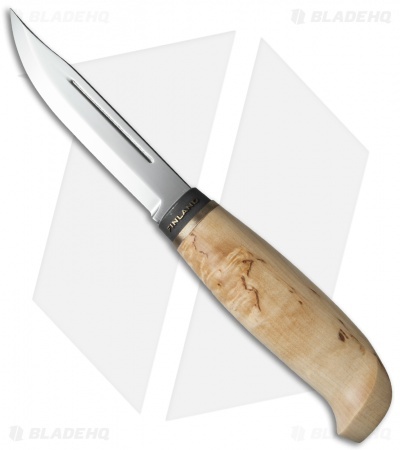 A special limited edition knife, this Marttiini Lynx is both collectible and practical. 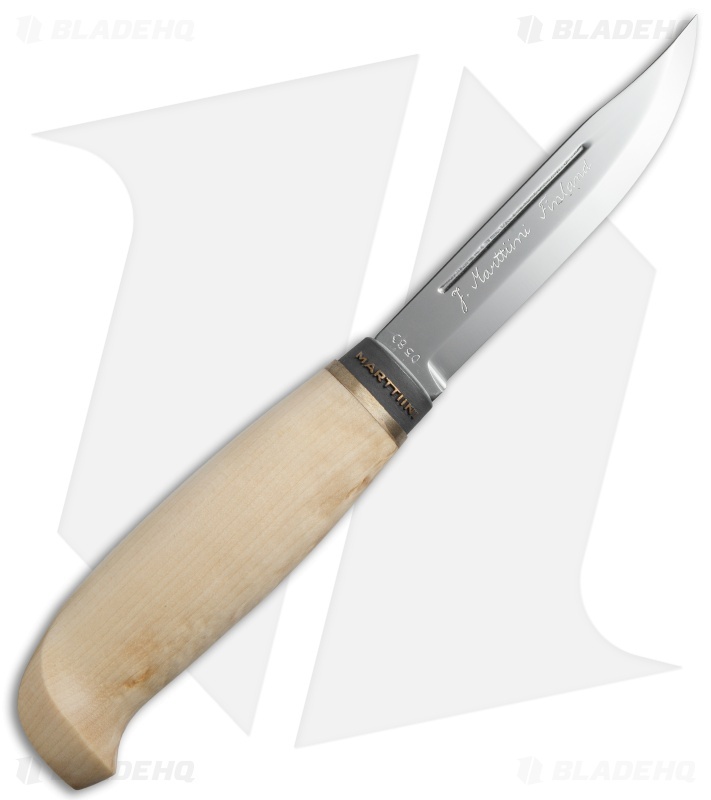 The mirror finish, stainless steel, clip point blade has the J. Marttiini Finland signature etched into it, along with the limited production number etched into the tang. The unpolished bolster features the Marttiini name in raised, bronze lettering for a classical look. 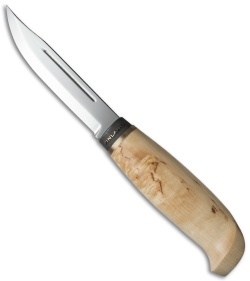 The handle is carved curly birch wood with a comfortable feel and beautiful, natural finish. 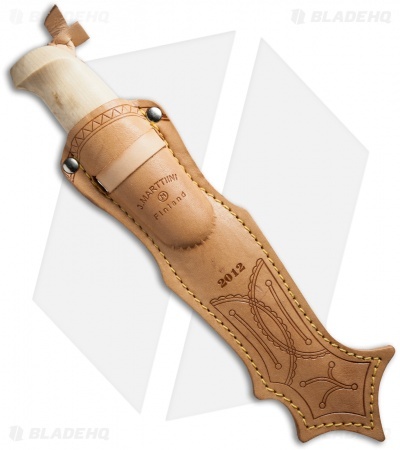 The knife comes with a tooled leather sheath, artistically crafted with traditional Lappish designs and stamped with the J. Marttiini name and "2012" on the front.